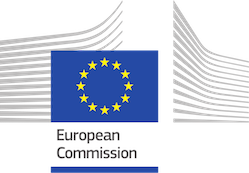 European Commission, European Parliament, European Investment Bank, European Bank for Reconstruction and Development, World Bank, UN Agencies, Inter-American Development Bank, African Development Bank, Asian Development Bank, bilateral Aid Agencies. such as small businesses, large consulting firms, manufacturing and construction companies, public institutions, public and private associations, research centers and universities. Nookom, in consortium with Methods & Planning (SK), and Vadear (BE), has been awarded for the FWC BENEF 2013 – Multiple Framework contract to recruit short-term services in the exclusive interest of third countries benefiting from European Union external aid, LOT 5: Conferences. FCm Travel Solutions (BE) is associated to Nookom for this FWC. Services include flights booking, assistance for visa, hotel booking, local transfers, conference facilities booking, arrangements for interpretation services, secretarial support etc. The support excludes selecting and supervising of technical expertise covered by other Lots of the FWC BENEF 2013. The quality of the services, which can be performed by internal or external expertise, is guaranteed by the Framework Contractor disposing of the appropriate internal technical skills and resources. The assignments carried out under this Lot may cover any geographic area, within or outside the EU. Belgium (Brussels-Mexico): FWC BENEF 2013, LOT5: 2016/373748: Civil Society Seminar on Human Rights in Mexico. Nookom, in consortium with Methods & Planning (SK), and Vadear (BE), has been awarded with a four years framework contracts in cascade on external assistance for external communication activities in the fields of public health, consumers and food safety. The framework contract is about communication services in the exclusive interest of Chafea, the European Consumers, Health and Food Executive Agency. The executive agency with seat in Luxembourg is in charge of the implementation of the EU Health Programme, the Consumer Programme and the Better Training for Safer Food Initiative. Within these schemes, the agency is managing the selection, implementation and evaluation of some 400 projects and contracts with more than 2800 beneficiaries. The framework contract covers a broad range of communication services reaching from event management to editorial content, graphic design and audio-visual production with an available budget of up to 1 million € per year. Nookom, in consortium with Methods & Planning (SK), and Vadear (BE), has been awarded for the FWC COMM Lot 3 – Multiple Framework contract to make logistical organization of events, such as conferences. Services include flights booking, assistance for visa, hotel booking, local transfers, conference facilities booking, arrangements for interpretation services, secretarial support etc. Nookom, in consortium with Methods & Planning (SK), and Vadear (BE), has been awarded for the Organisation of Conferences, seminars and meetings in the Framework of the European Neighbourhood Policy (Southern Cooperation), the Euro-Mediterranean Partnership and the Union for the Mediterranean” EuropeAid/134027/C/SER/MULTI. 11 Brussels, Belgium Extraordinary meeting of the SCP/RAC National Focal Points in the framework of the development process of an SCP Action Plan for the Mediterranean.